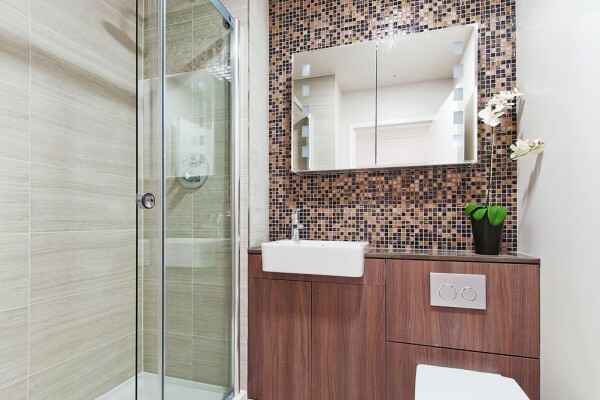 These city apartments offer you a modern fully equipped kitchen, a spacious bedroom lounge area which you can convert into a work area and an elegant bathroom with copper mosaic tiling, mirrors and in-built lighting. For extra space, we recommend a premium studio apartment. 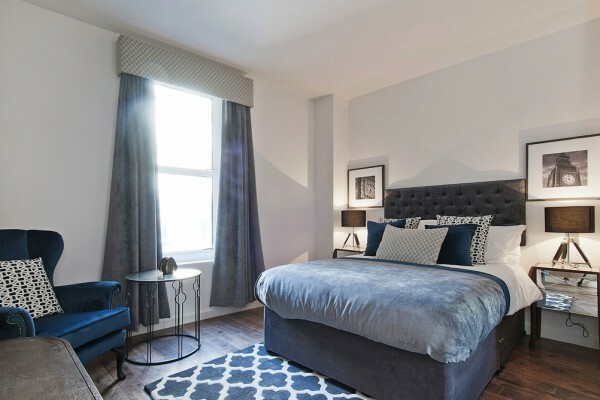 These city apartments offer you a modern fully equipped kitchen, a spacious bedroom lounge area which you can convert into a work area and an elegant bathroom with copper mosaic tiling, mirrors and in-built lighting. For extra space and separate sleeping and living rooms, we recommend a classic one bedroom apartment. 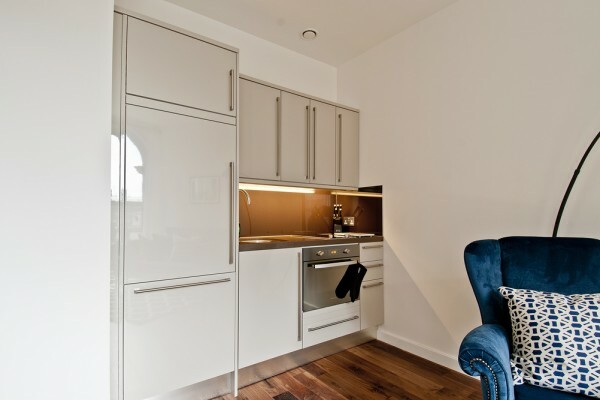 These city apartments offer you a modern fully equipped kitchen, a spacious lounge and dining area which you can convert into a work area, a smartly decorated bedroom and one elegant bathroom with copper mosaic tiling, mirrors and in-built lighting. 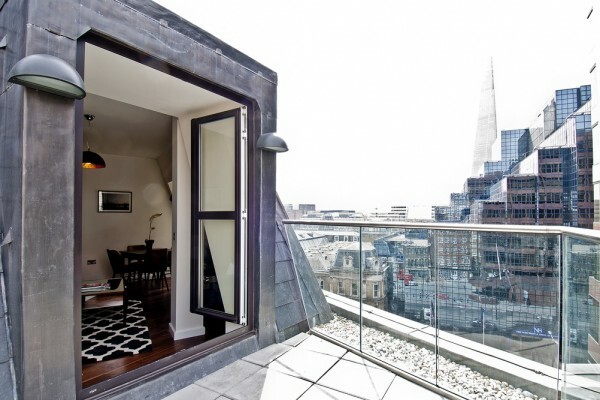 For even more space, we recommend a premium one bedroom apartment. 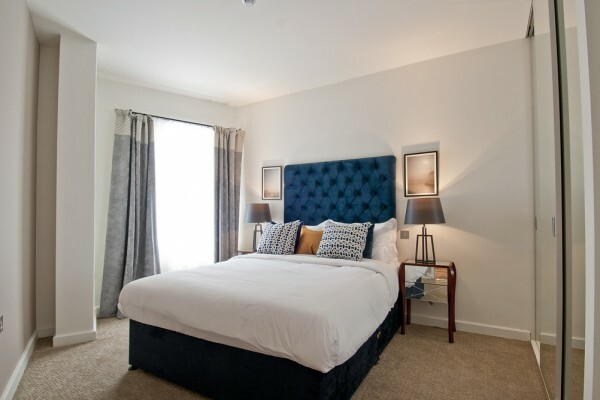 These city apartments offer you a modern fully equipped kitchen, a spacious lounge and dining area which you can convert into a work area, one smartly decorated bedroom and one elegant bathroom with copper mosaic tiling, mirrors and in-built lighting. 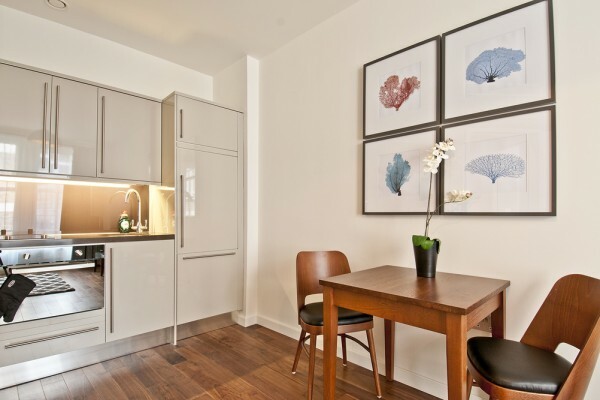 For a party of four, we recommend the two bedroom apartment. This city apartment offers you a modern fully equipped kitchen, a spacious lounge and dining area which you can convert into a work area, two smartly decorated bedrooms and two elegant bathrooms with copper mosaic tiling, mirrors and in-built lighting. Enjoy a beautiful view of the Monument from your terrace. 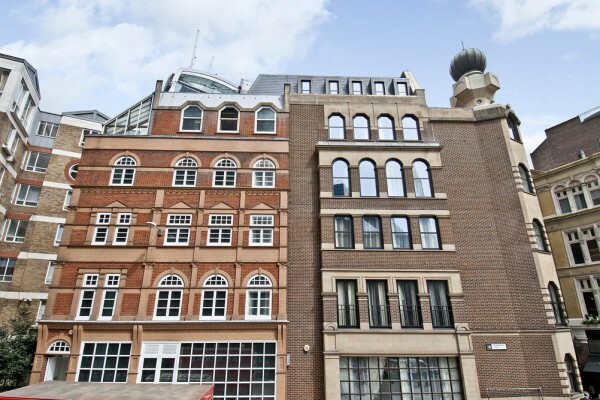 Go Native Monument was refurbished in 2014 with its studio, one and two bedroom flats within yards of the towering London landmark of Monument and the Grade II listed Old Billingsgate Market. Outside, its distinctive windows reflect the area’s maritime connections – trade from around the world would be landed and traded from here. Inside, mirrored Art Deco-style items set off soft furnishings in velvets and geometric patterns. Custom made sofas, and the copper, jewel blue and charcoal grey décor complete the look. Other facilities include modern kitchens and wonderfully finished bathrooms. Thanks to the flats’ generous dining areas, you’ll find it’s easy to entertain or catch up on work. Climb the Monument for views most visitors miss and enjoy nights in local pubs and restaurants. At the end of your stay make use of the left luggage facility - roam free for a little longer.